When you start a business, the world seems like it is a place full of possibilities. You know you have the drive and determination to make your business thrive, and you can’t wait to get started. Taking that enthusiasm and channelling it into practical, well-thought-through steps can be a difficult thing. One of the most important things you need to do when starting a business is to take the time to develop a business plan. 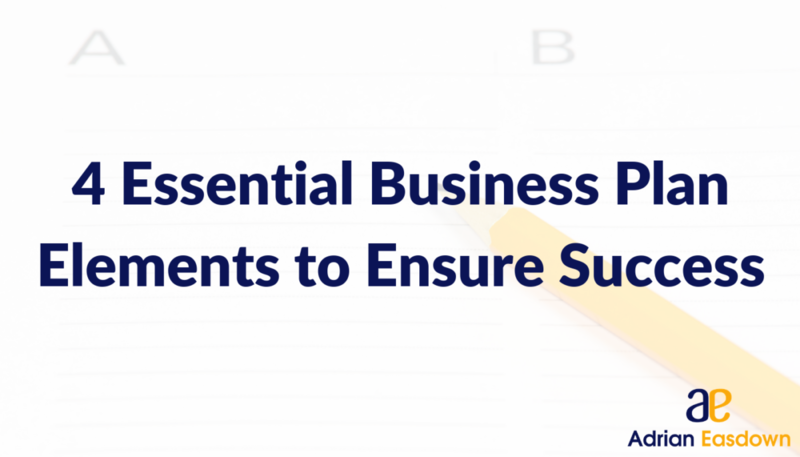 There is a ton of information available about what a business plan should include, and I believe there are some essential elements that are needed for a solid foundation for your business. It should come as no surprise that financials are a key component of a business plan. But what kind of information do you need to include in your financials? The first component of your financial needs to be the investment you are making into the business start-up. This can take many forms – it could be the money you outlaid for an exciting business or the start-up costs needed for a new business. It could also include elements like business cards, logo design, web page design and set up. Making sure that you have your investment included in your business plan will start to round out the amount of revenue you need for your business once you open the door. The second component that you need for your business plan financials are the ongoing expenses your business will incur. These will include some obvious items such as salary for yourself and your staff. From there, you should include any business rates that you will need to pay throughout the year like insurance. You should also make sure that you include office costs such as paper for printing and a budget for asset replacement and maintenance. The more detailed you are with your expenses, the better prepared you are for any eventualities that may occur throughout the year ahead. I would also recommend you include some padding to your budget as a ‘just in case’ element, for those curve-ball moments that happen. The third element for your financials is to combine the first two elements above so that you can work out your baseline. This baseline is the amount of cash you need to earn during the year to make sure you have your bases covered. Once you have your baseline, you can work out how much you are going to be charging for your goods/services. This will give you a solid understanding of the amount of profit you can expect and how many clients you need to engage with to reach that goal. Another crucial element to consider for your business plan is the clients you want to deal with. One of the best parts of running your own business is surrounding yourself with your ideal clients. In the accommodation industry, there are many types of clients that can attract you to business. If you have a love of family holidays like me, then your ideal business and client may be family holiday parks. If you have a strong drive to meet people from overseas, you may be attracted to owning and operating a backpacker’s, a hotel or a resort that will expose you to those clients. Whatever type of client you want to deal with, it’s important to have a solid idea of them. Adding them to your business plan will ensure that you weave through your marketing and product offerings to ensure those are the clients you attract. This can also help you to focus your future vision of your business and ensure that you are making decisions based on who you want to deal with in the short-term and the long-term. It can also give you ideas about any expansion you might have down the road. Making sure that you include your product into your business plan may seem like a no brainer, but along with your investment and who you want to interact with, what you want to offer is important. This is the point where you get as granular as possible. In the example of a holiday park, you would break down all the accommodation types available, which would include long stays, single stays, multi-night stays, powered sites, unpowered sites, camping and permanent stays. You would also include any price variances like peak and off-peak pricing, holiday pricing and discount pricing – or if you are going to introduce different pricing models like dynamic pricing, which I have spoken about previously. It is also wise to include non-monetary product offerings like your market differentiator at this point of the business plan. Do you want to be known for your staff’s friendly and helpful interactions with clients? Do you want your business to be the top eco-park on the east coast of Australia? Do you want to have a free BBQ for guests every Sunday of the summer? Thinking about different ways you can create a product for your business that may not be the core of your business can be a winning formula for success to ensure you have the best mechanisms in place. An element that people may not think about for a business plan is related to the systems you will be using. Knowing how you will manage your business is another element that is crucial to your success. Working through the way you will deliver things like your bookings, onboarding of staff, occupational health and safety, the safety of your clients and the day-to-day running of your business can set you up for success before you welcome your first client in the door. Taking the time to plan your business up front with a thorough business plan can ensure that your chances of it being successful are high. And while luck and determination are important factors to success, you can’t rely on them solely. Why not get started on your business plan today by following the four essential steps outlined above?